A charity shop in Sleaford, Lincolnshire, has been targeted twice in as many weeks by vandals who caused £750 worth of damage. We are deeply saddened that our shop in Sleaford has been targeted twice in two weeks by vandals super-gluing our locks. The cost of replacing the locks and then having a new shutter system installed is £750, a huge and unnecessary expenditure for the hospice. Lincolnshire Fire and Rescue Service has unveiled plans for its new £6m fire station in Sleaford today. Residents were invited to the Eastgate Centre to see the proposals. The building will house fire crews and an international search and rescue team. It will also include offices for council staff. The County Council hopes to sell off the existing fire station plus council offices to fund the development. It will also save £240,000 a year in running costs. It is hoped work will start in August and completed next year. Sean Taylor from Lincolnshire Fire & Rescue has been talking about the plans. Hundreds of children in Sleaford, Boston and South Holland won't be provided with their usual school lunches today as the company that supplies them - Food for Thought GB Ltd - have been stopped from trading for operating without a licence. They supplied around a thousand school meals a day. Fire crews are still at the scene where a large straw fire broke out yesterday evening. 24,000 tonnes of straw ablaze shut the A15 in Sleaford last night. 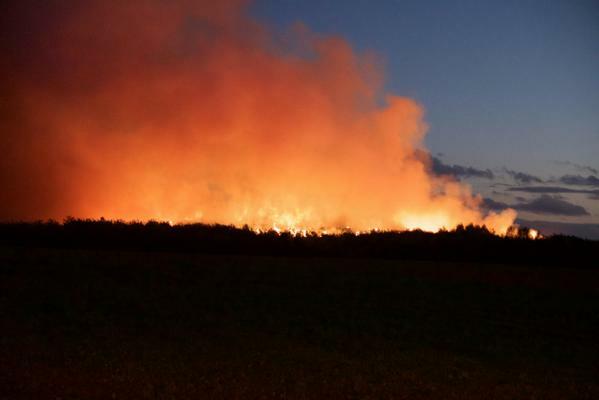 Sleaford fire update: 3 appliances to remain on scene to prevent fire spread. Unburned bales being removed, burning bales being supervised. 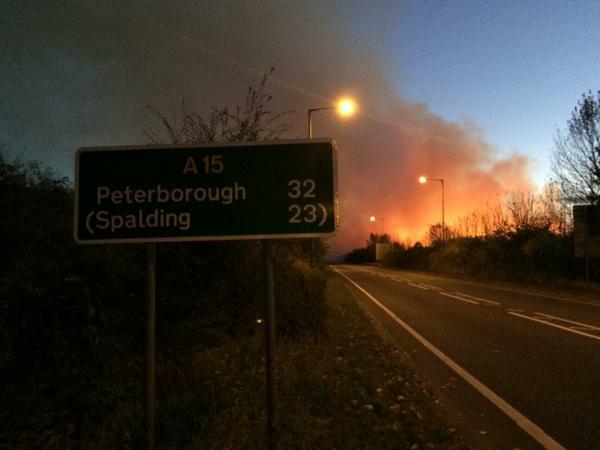 There are reports of a large fire west of Sleaford just off the A15. The manager of Sleaford Town FC is critically ill in hospital after a crash on the A1. Kris Jones is in intensive care at the Queens Medical Centre in Nottingham following the accident on Monday evening. All the thoughts and prayers of everyone at the Football Club are with Kris and his family at this difficult and trying time and we request that their privacy is respected. The club has asked the league that Saturday's game against AFC Rushden and Diamonds be postponed. The league has agreed. Assistant Manager, Terry Fleming, has been placed in temporary charge. Police are treating a fire at Bass Maltings in Sleaford as suspected arson. Today they have been conducting house to house inquiries as the fire and rescue service continue their investigations. The Grade II listed buildings have been at the centre of a bitter row between the District Council and Sleaford Town Council for the last five years. 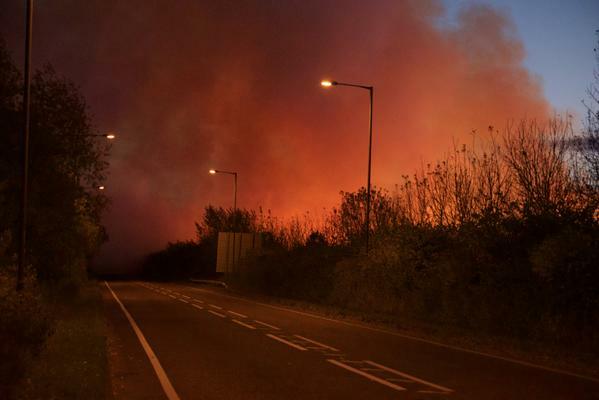 The question many are now asking is how will the fire affect plans to invest one hundred million pounds in to the redevelopment of the area, potentially creating a thousand new jobs.